First Selectman Michael Tetreau's proposed fiscal year 2013-14 budget calls for 6.38 percent tax increase, despite trimming the Board of Education and town department head requests by $1.1 million and $1.8 million, respectively. "This budget represents one more year of taking our medicine to pay for past decisions and to put us in a stronger position moving forward," Tetreau told a joint meeting of the Board of Selectmen and the Board of Finance on Tuesday as he unveiled his $287 million spending plan. Of that amount, $154.7 million is allocated for the school system, reduced from $155.8 million sought by the Board of Education. The current school budget is $148.9 million. In addition to the $5.7 million education budget increase, some of the largest increases include a $3 million bump to fund town employee pensions; $2.3 million more for contingency; $1.6 million in debt service, and another $1 million for paving. Salary and wages show an increase of $942,720. With a 24.86-mill rate to finance the budget as proposed, the tax bill on a home assessed at $350,000 would increase from $8,179 to $8,701. Asked about the impact of the proposed $1.1 million cut on the school budget, Board of Education Chairman Phil Dwyer told the Fairfield Citizen on Wednesday that school officials are expecting that bids for health insurance, and a better claims experience since December, will result in savings. Following are the largest elements of Fairfield's annual budget. 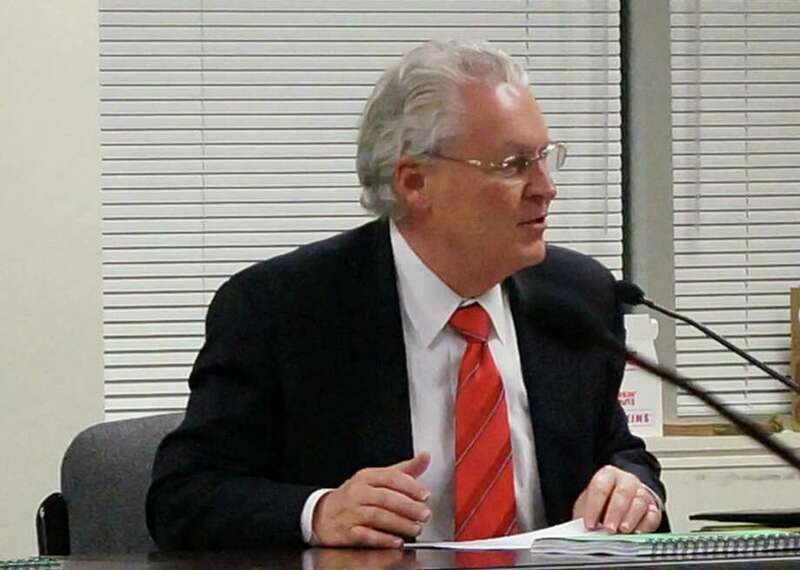 First Selectman Michael Tetreau this week unveiled a proposed $287 million budget for 2013-14, with a 6.3 percent tax hike over this year's $272 million budget. "If that comes to pass, Mike's statement that there will be no impact on services will be correct," Dwyer said. "If it does not come to pass, there will most definitely be program and service reductions." Both the town and school board are seeking bids on health insurance coverage for their employees. Tetreau said the overall objective of the proposed spending package is to "manage our tax burden while putting us in a position to get out from under several of our long-term expense commitments, so we can reduce our budget growth in coming years." The first selectman, as an example, cited practices in the past that allocated part of the budget's surplus to reduce taxes. Another, he said, is that for about 10 years the town also did not make contributions to the pension plans. In 2005, James Walsh, now on the finance board but then a member of the Representative Town Meeting, questioned why the risk management account and the retiree benefit account were underfunded. According to one news account, the town was expected to have a $50 million obligation for retiree health benefits beginning in 2008, and spanning a 30-year period. Kenneth Flatto, the first selectman at the time, said that was not the year to fund future obligations so taxes could be kept to a minimum, according to a Fairfield Citizen story. The report also said Walsh was concerned about the size of the budget surplus, which at that time was about 4 percent of the budget. Credit-rating agencies recommend the town's surplus be equal to about 10 percent of its overall budget. Currently, the town's surplus is $14.59 million, or 5.3 percent of the budget. "One of the things we've tried to do in the last couple of years," finance Chairman Thomas Flynn said, "is to think more strategically, rather than tactically." For example, he said, not getting bogged down in debating 10 police cruisers versus 11. "Those things don't move the needle," he said. What the town needs to do, Flynn said, is look at what services it is delivering and whether that method of delivery is the most efficient. "Is there someone that can do it better?" he said. "Although I agree certain of these numbers are going to come down, others will go up if we continue to do things the same way." Tetreau's presentation included his decision to create a Services Evaluation Committee to study whether there are town services that can be reduced, eliminated or restructured. The finance board and the selectmen will begin deliberations on the proposed budget next week, and both will have a chance to trim the proposal further before it goes to the Representative Town Meeting for final action in May.